In a large mixing bowl, combine flour, cocoa powder, baking soda and salt, mix to combine. Add melted butter, sugar, buttermilk, Baileys, food coloring, vanilla, apple cider vinegar and yolks, beat until a smooth batter forms. Divide the batter evenly in mini bundt cakes. Bake 18-20 minutes or until a toothpick comes out clean. In a saucepan heat heavy cream and Baileys just until it simmers. Transfer to a bowl. Add white chocolate. Let sit a few minutes. Whisk until a smooth. 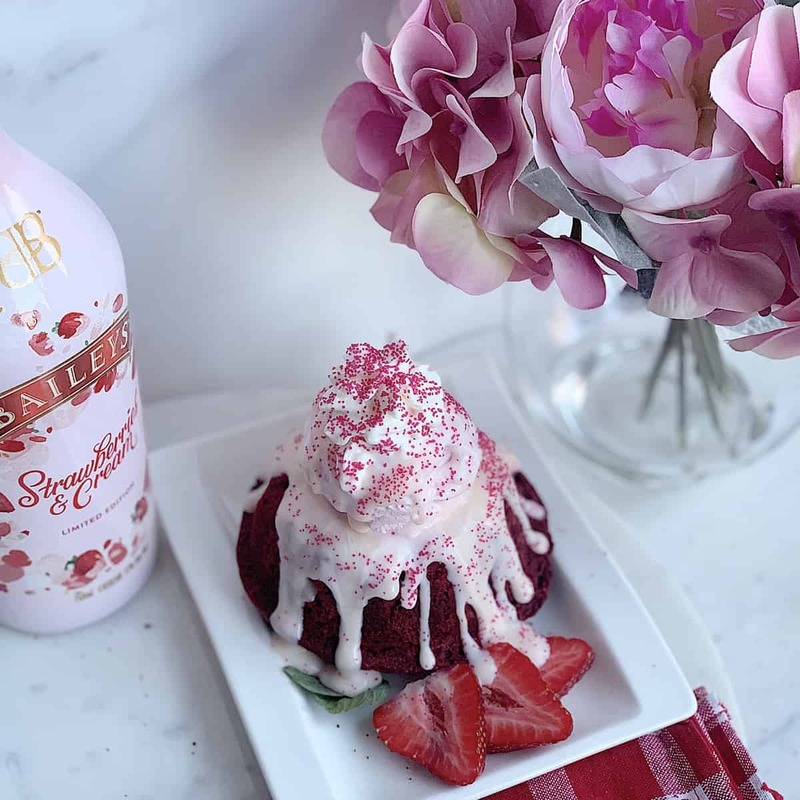 Add a scoop of your favorite strawberry ice cream in the center of the bundt cake. 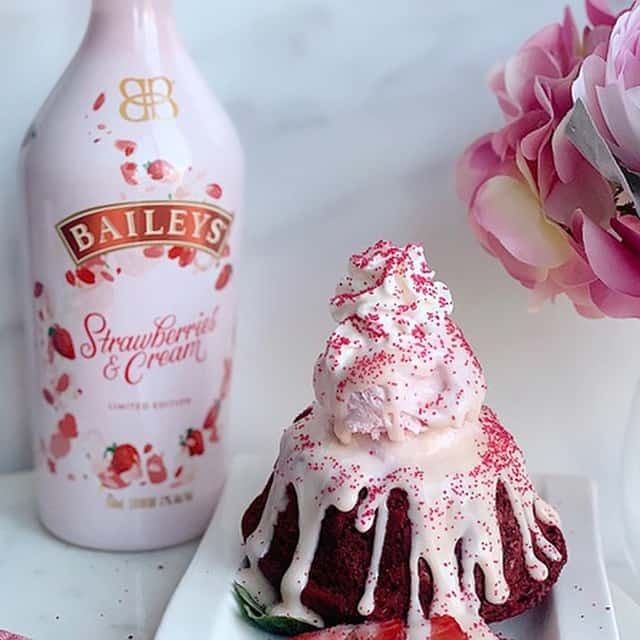 Pour the Strawberries & Cream Baileys chocolate sauce over the ice cream. 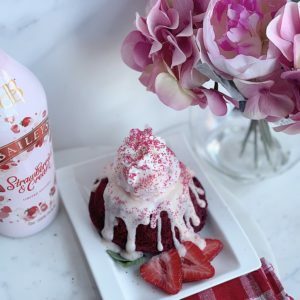 Top with whipped cream and sprinkles! *Can also be made in a cupcake tin. Yields 12 cupcakes.